4.1 Conflict solution through territorial autonomy? | 4.2 Which lessons to be drawn from the European experiences with territorial autonomies? The bulk of minority rights in Europe at the level of domestic or national law taking the form of constitutional, national or regional acts or regulations, according to the international conventions or charters or to bilateral treaties. This complex corpus of minority rights [ 1 ] was essential to provide for the recognition of ethnic or national minorities with their languages, cultures, traditions etc. and for the promotion and enhancement of their collective identity. On the other hand these general acts of national or regional law could not or not fully meet another need and claim: that of self-government in their own territory. It cannot be denied that the question of identity is strictly linked to a territory which has been inhabited by national minorities as a homogenous since ancient times. Keeping the question of personal or cultural autonomy separate, the protection of a minority is to be implemented in a precise geographical and cultural space. Differing from the issue of the new minorities which have migrated to Europe in the last decades, the traditional minority issue in Europe - as in most other continents - is linked to the historically inhabited geographical space of a group with a collective identity, also being a part of states with other ethnic-cultural majorities. This is the fundamental cause for the idea of territorial autonomy. 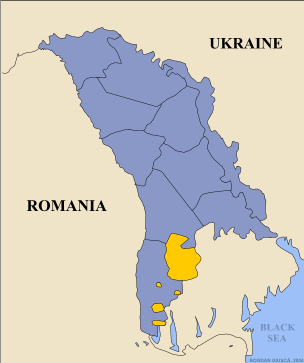 Generally in the field of minority rights autonomy denotes "limited self-rule", which can range from self-government in limited areas to complete self-rule just short of independence. A particular autonomous entity can enjoy a different degree of autonomy in its political decision making process. 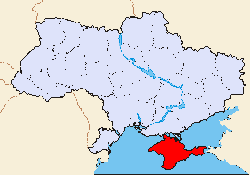 Autonomous areas in most cases are regions of a state which possess some ethnic or cultural distinctiveness, which have been granted separate powers of internal legislation and administration, without being detached from the state. This status can be granted by some international binding upon the central authorities, but must not. As a general rule autonomous territories do not possess any international personality and are not treated as states for the purposes of international law. Autonomy can be defined as a means of power sharing aimed to preserve the unity of a state, while respecting the differences among the population [ 2 ]. There are the three classical elements of the definition of a state although in a different manner: a territory (part of a state territory), a population (the resident inhabitants of that territory) and the exertion of state power (limited to a certain territory which remains a part of that state). Autonomy thus consists in transferring permanently as many powers as possible to a certain territory, giving their population the possibility of self-government, and leaving just some residual general competencies to the central state. b) Cultural or personal autonomy. It is important that an association of persons provided with cultural autonomy is sufficiently democratically representative, that is, that it concludes at least a substantial part of the persons belonging to an affected national minority and that the autonomous authorizations are carried out by freely-elected democratic organs. Autonomy by this concept is not necessarily linked to the protection of ethnic minorities. The spirit of autonomy provides for minorities and indigenous populations the possibility of moving towards "meaningful internal self-determination and control over their own affairs" [ 4 ]. Spanish nationalism began to evolve during the nineteenth century following the French model. The attempts to politically unify the kingdom came into conflict with the special political regime of the Basque Provinces. Laws enacted in 1839 and 1876 suppressed the most important aspects of this semi-independent political system. In reaction, nationalism has also developed among the Basque in the late second half of the 19th century, creating a political party: Eusko Alderdi Jeltzalea-Partido Nacionalista Vasco (EAJ-PNV) [ 7 ], which gained ground rapidly. In 1931, following the proclamation in Spain of the Second Republic, a system was established in the Constitution to enable some regions to gain autonomy. 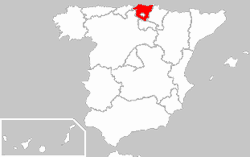 The Basque Country (without Navarra) elected an autonomous government in 1936 that was suppressed a year later after the conquest of the whole territory by insurgent military forces in the Spanish Civil War. The Franco regime unleashed a savage repression of the Basque national and linguistic identity. As a counteraction to this repression, new left-leaning nationalist groups sprang up, including in some cases the use of armed struggle to combat the dictatorship. Amongst these groups, Euskadi Ta Askatasuna (ETA) [ 8 ] was founded in 1962 and carried out violent action against the State security forces and Spanish politicians for more than 40 years. A first Statute of Autonomy was passed by the Italian Parliament in 1948, but it referred not only to German-speaking South Tyrol but also included the Italian-speaking region of Trentino. As a result, the post-war years were characterized by disputes and clashing interests of the South Tyrolean and Italian governments. South Tyrolean activists organized bomb attacks to which Italian authorities answered with harsh measures in South Tyrol. At the same time, Austria brought the case to the attention of the UN. A new agreement was reached in 1969 (known as the "Package"), consisting of a set of measures with an aim to establish effective autonomy in South Tyrol. The Package consisted of 137 measures: 97 of them required implementation through amendment of the 1948 Autonomy Statute by a constitutional law, eight through executive measures to the above-mentioned Statute, 15 through ordinary state laws, nine through administrative decrees and the rest through administrative regulations. Due to that "Package" a new autonomy statute was set forth which entered into force on 20 January 1972. After 20 years intense negotiations all the important measures contained in the Package were implemented and only on 11 June 1992 Austria and Italy officially declared before the United Nations that the conflict had been settled [ 9 ]. This Statute of Autonomy was amended again in 2001 in 50 single issues. It forms an integral part of the Italian constitution. The new cantons had been part of Belgium for just 20 years when in 1940 they were retaken by Germany. 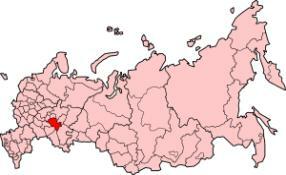 The majority of the population of the East Cantons welcomed this as they considered themselves Germans. 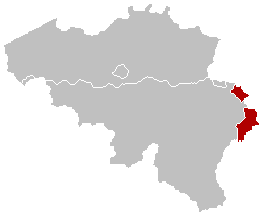 Following the defeat of Germany in 1945 the cantons were once again annexed by Belgium, and as result of alleged collaboration with Nazi-Germany an attempt was made to "un-Germanize" the local population by the Belgian and Wallonian authorities [ 10 ]. But some scholars argue that even in the absence of a constitutional entrenchment granting autonomy implicitly contains the recognition of the right to internal self-determination of a national minority under international law. In this sense autonomy regulations can be considered as protected by the general principle of self-determination of peoples. Hence a given state, having once established autonomy, is not allowed to cut back these rights of a minority in a substantial extent without the consensus of the concerned community and even less abolish an autonomy statute. Still there is no general mechanism of monitoring, controlling and guaranteeing autonomy regulations in positive international law. Such a provision would be an essential part in a proposed "Framework Convention on the right to autonomy" as submitted in a draft version by the FUEN in 1994 [ 11 ]. 3. Autonomy can offer the necessary institutional framework for minority cultures and peoples and languages, as far as the regional institutions are endowed with all culturally relevant powers and means, especially in the field of education, culture and medias. 4. An implementation plan is to be incorporated in the conflict settlement. This sometimes is a very technical, long lasting undertaking. 6. Autonomy has to be effectively entrenched, if not international level or bilateral level (kin-state), at least on a constitutional level, preventing to expose it to the come and go of political majorities in a central parliament. 10. There are even forms of participation of autonomous entities to international organizations, exerting influence when the territory is affected. Farimah Daftary, Insular autonomy: a framework for conflict settlement? A comparative study of Corsica and the Aland Islands, ECMI Working papers, October 2000. Jens Woelk, Reconciliation impossible or (only) indesirable? The South Tyrolean experience. www.unpo.org: The website of the "Unrepresented Peoples Organization"
The author, Thomas Benedikter, is an economist and social researcher in Bozen (South Tyrol, Italy, 1957), graduated in economics at the University of Munich (D) and in political economy at the University of Trento (I). Besides many years of professional activity in empirical social and economic research in his home region South Tyrol, since 1983 he has been continuously committed to activities in development co-operation projects and human rights NGO activities with particular regard to minority and indigenous peoples rights, peace and international conflict, information on North-South-issues. T.B. has been director of the South Tyrolean branch of the international NGO "Society for threatened Peoples" (based in Germany) and some other international solidarity initiatives. Committed to journalistic and humanitarian purposes he spent about two years with research and project activities in Latin America, the Balkans and South Asia (especially in Nepal, Kashmir and Sri Lanka) and is writing for several news-magazines and reviews. Since 2003 he is collaborating with the European Academy of Bozen (Department for autonomies and minorities) for an "Exchange Programme for the Politics of Recognition" (minority protection systems) with South Asian partners. [ 1 ] There are scores of websites on the matter to be consulted in this regard. Some of the most important are: The minority rights system of the European Academy of Bozen: www.eurac.edu/miris; the European Bureau for lesser used languages: www.eblul.org; the Council of Europe: www.coe.int/T/E/human_rights/minorities; the MERCATOR minority language centre: www.ciemen.org/mercator; the European Centre for Minority Rights in Flensburg (Germany): www.ecmi.org. More of that under "References". [ 7 ] The name is different in Basque and Spanish versions, meaning respectively "Basque Party of God and Old Laws" and "Basque Nationalist Party". [ 8 ] Euskadi Ta Askatasuna (ETA) literally means: "Basque Fatherland and Freedom". [ 9 ] See Melissa Magliana, The Autonomous Province of South Tyrol: A Model of Self-Governance?, Bozen 2000; Antony Alcock, The South Tyrol Autonomy - A Short Introduction, Bozen 2001, at: www.provinz.bz.it/aprov/publ/publ_getreso.asp?PRES_ID=1899, Jens Woelk, Reconciliation impossible or (only) undesirable? South Tyrolean experiences, March 2002. Last Updated: 27.9.2006 | Copyright | Search engine | URL: www.gfbv.it/3dossier/eu-min/autonomy.html | XHTML 1.0 / CSS / WAI AAA | WEBdesign: M. di Vieste; E-mail: info@gfbv.it.